Selectable level of difficulty from novice to advanced players. Ability to select from 5 different warring galaxies. Anywhere from 5-10 different planets within each different galaxy to select from. Over 100 different aliens to raise and sell. 25 different alien farm structures to build and work with. 10 different farm vehicle types. 5 different spaceships to work with. 10 different alien farmhands, with different capabilities. 5 different warring races, with 5 different spaceship types and ground forces. Different weather events that can affect farming conditions. Each different planet will have its own pros and cons as to resources and hazards. The player can set up alliances with different warring factions for added protection. 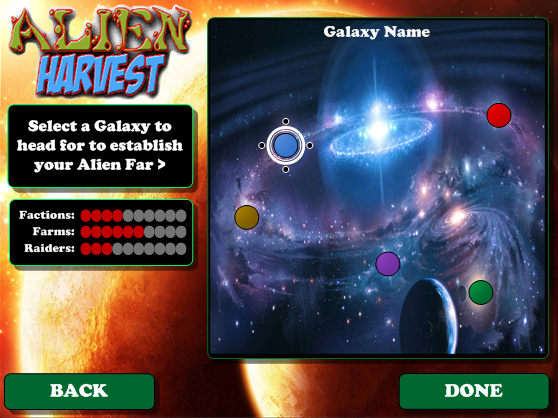 Network with other alien farms to better compete with other alien farms. 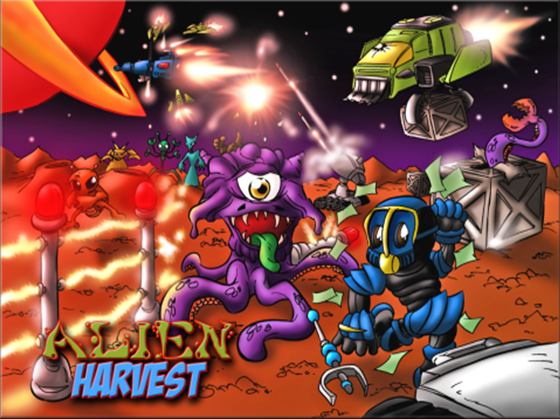 The in-game alien marketplace where aliens and resources can be bought and traded. 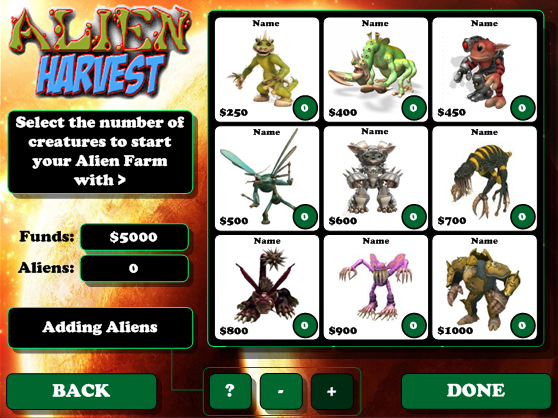 An alien auction-house where the player can take his best aliens to sell. Random events that will keep the game challenging. Ability to establish a fleet of trader ships and remote trading outpost on other planets. 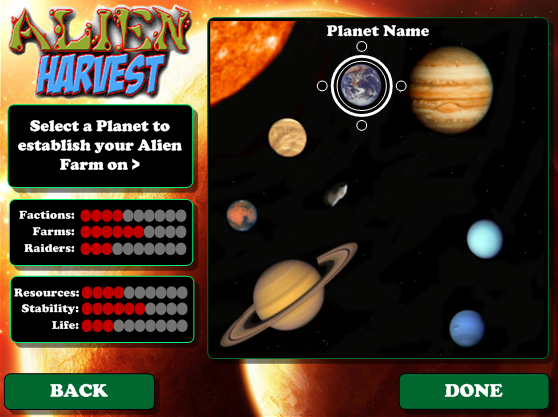 The normal farm building tools let you build up your alien farm and expand on it as needed. Brought to you by the former Manager of Design for Namco, Capcom’s former Senior Game Designer and lead game designer on over 30 published games.